This formal cream colored necktie pairs a festive color with a shiny satin silk fabric that perfectly accentuates the solid color design. 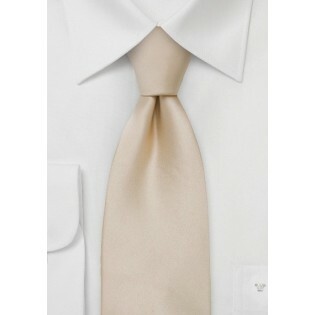 This cream colored necktie is one of our best selling ties chosen to outfit groom and groomsmen. 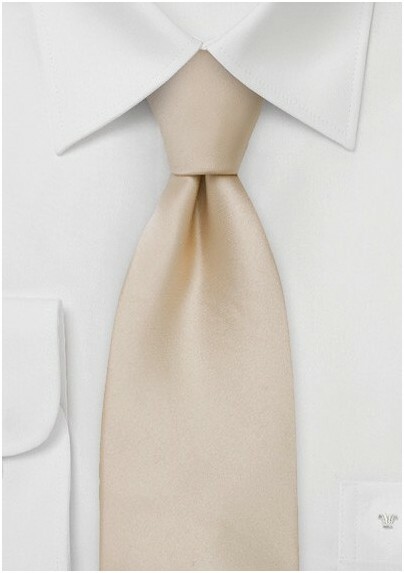 Necktie maker Parsley created this elegant tie from finest satin-silk. The fabric is not only cut by hand but also hand-sown into a piece of art that will add more formality to any suit and shirt.